The DataGone LG hard drive degausser not only delivers fast and failsafe erasure of large volumes of hard disk drives and back up tapes, but it also comes fitted with the unique Data Destruction Auditor solution which enables the operator to document and verify their hard drive erasure and create tangible, audit-ready reports that confirm complete and secure data erasure. 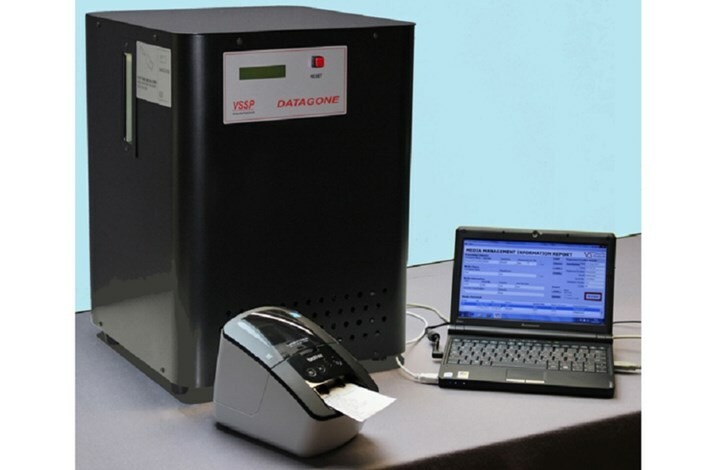 The DataGone LG auto backup eraser is a self-calibrating degausser that provides the user with assured erasure time after time. It's no wonder it's one of the most popular hard drive degaussers available on the market, the automatic operation and powerful magnetic field provide erasure of hard drives in just 8 seconds which means you can achieve complete erasure of 200 hard drives or back up tapes every hour. Degausses all standard hard drives & back up tapes. Erase Hard Drives at the click of a button.